Levi’s jeans launched a new Philippine wide campaign that shows off its indisputable rich archives and asserts its leadership in jeanswear. Juxtaposing the past with the present, the collection titled ‘Modern Vintage,’ adeptly connects the brand’s authentic history to the inspiration for its new denim collection. It also makes a statement about the brand’s relentless drive for innovativeness as the reason for its continued relevance among its consumers. The only brand that can truly claim to have an illustrious archive, the Levi’s Modern Vintage collection is inspired by exactly that. This collection shows the ingenious features of Levi’s jeans from yesteryears and have not only been reinterpreted, but incorporated into today’s modern designs. Vintage on contemporary - this says all there is to say about Levi’s latest offerings. With luxurious detailing, the Modern Vintage collection features premium rustic fabrics and vintage finishing techniques presented as modern jeans. The new collection exudes individualism and sexiness, the very personality of Levi’s. “The collection and campaign will be introduced in the Philippines by January in all Levi’s Stores nationwide. 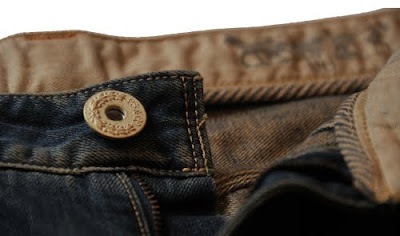 Its launch is our first offering to discriminating and fashion forward Levi’s fans this 2010.” said Jen Jimenez, Marketing Manager, Levi Strauss Philippines Inc.
Levi’s also allows their consumers to celebrate with them the nostalgia brought in by the Modern Vintage jeans. Levi’s will soon be launching the website www.levismodernvintage.com, and in line with the theme of ‘modern vintage’, users are invited to put together their personal time capsule by uploading images of 10 items they feel will be relevant key influences in 10 years. Come 2020, the site will live again, allowing consumers to relive and review their time capsules to see how their handpicked selections make their marks in the new decade as ‘modern vintage’ items. 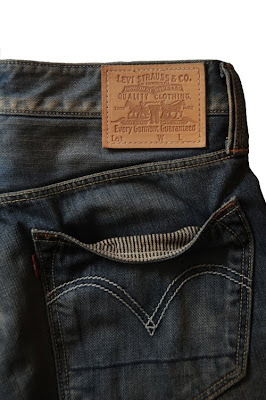 It also allows Levi’s loyalists to have a close-up of the entire product range and detailing, and build a true appreciation for the whole collection. The Levi’s Modern Vintage Collection is available in all Original Levi’s Stores and Levi’s Premium Stores nationwide.